Summer has finally landed and we're seeing a shift from frigid temps to waters warmer. To avoid burning up this year, we've hand-picked a few selections from our 3mm range for your perusal. Seeking a touch more colour, a new suit to herald the start of the season, or what about an upgrade in quality? Come on in, we've got you covered. 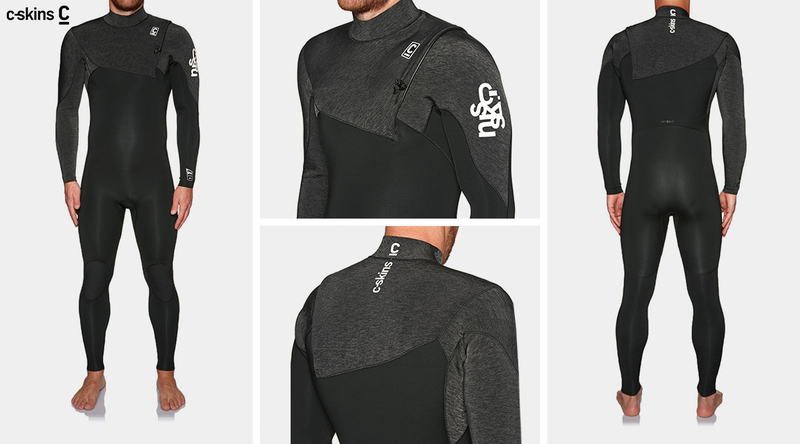 The world’s fastest-drying wetsuit, the FlashBomb zipperless wetsuit has bought in a few upgrades this year. The all new E5 Flash Lining has been whipped in and gives you 25% more stretch and less weight than previous models. Triple glued and double blind stitched seams with 3/4 Aquaban liquid tape offer you the ultimate seal. Two engineered layers help wick water away, making it one of the warmest and most comfortable around. 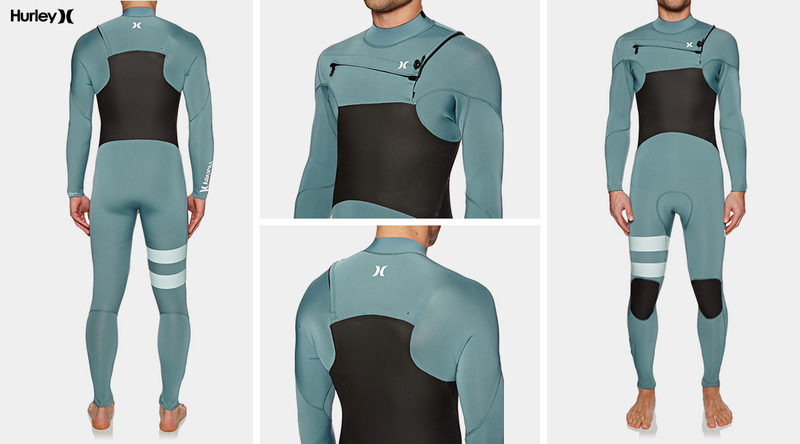 The Hurley Advantage Plus Fullsuit features a 100% Exoflex V2 Stretch material neoprene to maximise flexibility. The ergonomic seam placements and chest zip-entry are designed to allow a full range of movement, whilst the liquid sealed cuffs and power seam tape reduce water flushing while maintaining flexibility. Coming in a range of colours including this Noise Aqua, the Advantage Plus is for the surfer looking to stand out from the pack. The 2018 ReWired is a high-performance comp-level suit. 100% Xtend neoprene offers free flowing movement for technical manoeuvres, while the Dryknit thermal-lined lumbar panel keeps the core warm between sets. For Summer 2018 the ReWired features an improved minimal panel layout, all new ThermoTech lightweight Poly Pro lining and the new Xtend 2 Fusion Isolation taped seams to increase your level of comfort. 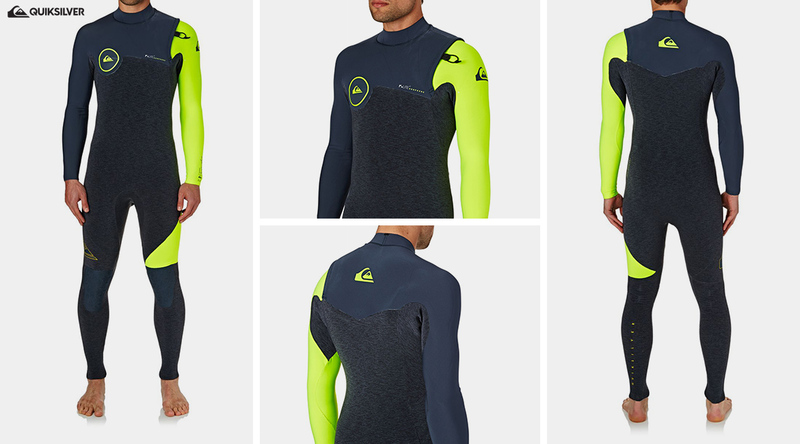 The Quiksilver Highline Zipperless Wetsuit contains all of the highest technical construction in Quiksilver's arsenal. The FN Lite air cell rich limestone neoprene and warm flight thermal fleece lining you will give you superior performance and warmth. Combine this with the triple glued and blind stitched seams and FN Lite internal seam this isn’t just a durable suit it’s one of the most flexible. The suit's finished in a slate style with yellow safety arm. 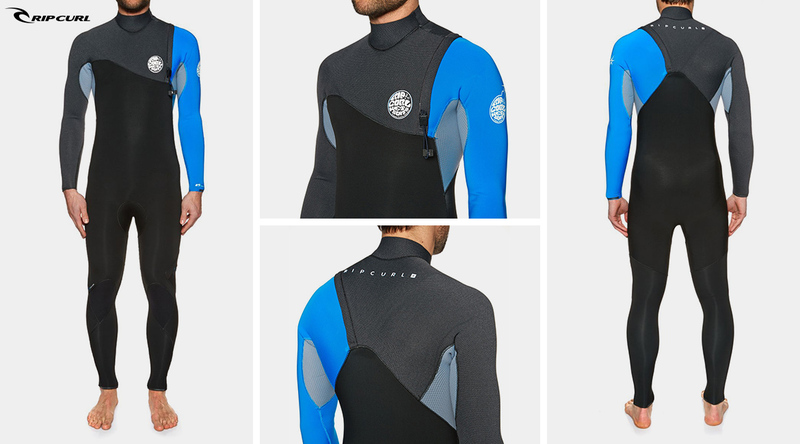 O’Neill is a proven worldwide provider of the highest quality wetsuits for surfers of all abilities. 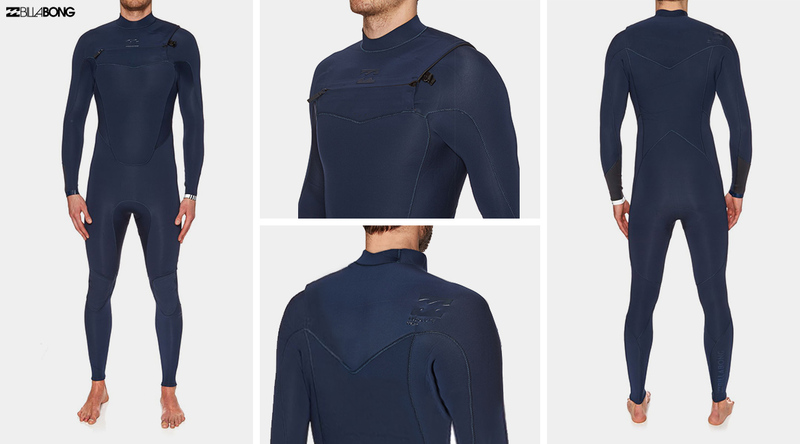 The Psycho One minimal seam madness is the ultimate high-performance wetsuit. Built with ultra-gooey TechnoButter 3 Neoprene and ultra-minimal seam styling offers unrestricted mobility, enhanced durability and unbelievable fit. The Psycho One may just help advance your performance level to new heights. 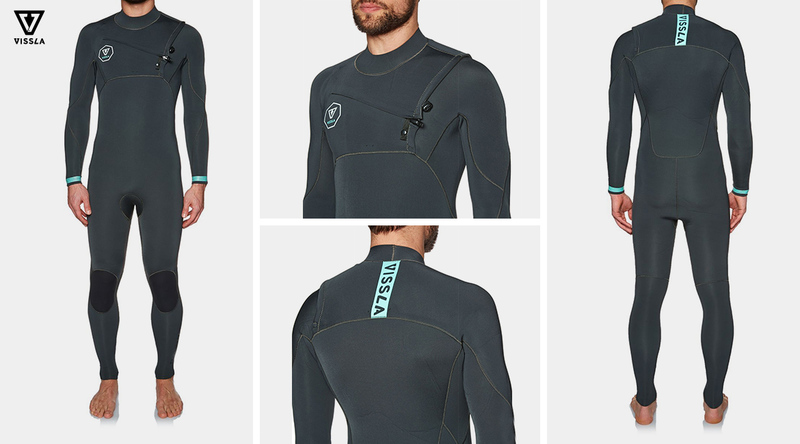 The 7 seas wetsuit by Vissla promises everything you need in a wetsuit, nothing you don’t. Super stretch light neoprene, sealed seams, quick-dry lining, a superb tailored fit, and a minimal bulk chest-zip closure system. 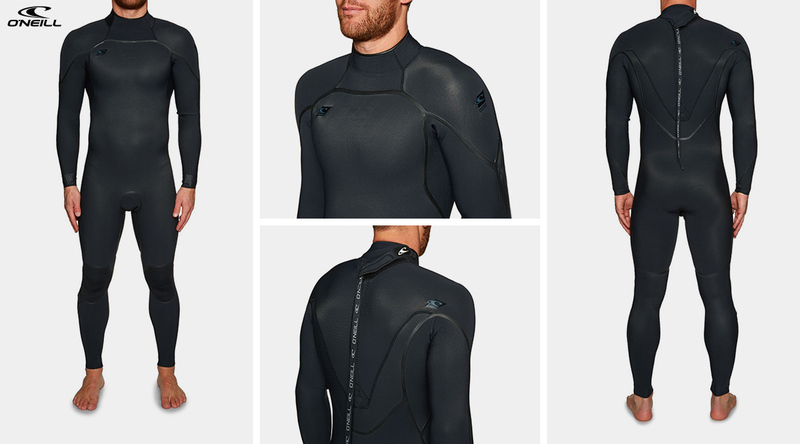 They have built a top-of-the-line wetsuit at an approachable price. Whether you like to set your line and trim on your single fin, or get your fins above the lip on your thruster, they’ve built a suit to match your intentions. 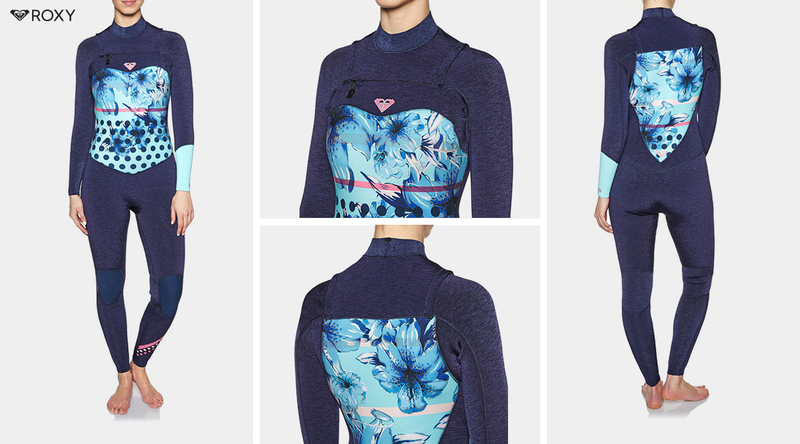 The Billabong Absolute Suit is a great option for those brisk sessions in the summer months. Designed and developed with Billabong team riders, the Absolute Comp is built for maximum performance combining supreme stretch and warmth. The hollow-fibre fleece lining wicks moisture away from the body to keep your core warm and the ergonomic seam placements and chest zip-entry are designed to allow a full range of movement so you don't sacrifice warmth for flexibility. The liquid sealed cuffs and blind-stitched and taped seams reduce water flushing whilst maintaining flexibility too. The Roxy Pop Surf collection combines sustainability and style. It uses recycled polyester fabric where plastic bottles are transformed from PET into polyester fibres. The durable zip and cord attachment makes the suit easy to get on and off, while offering great freedom of movement with no reduction in flex across the back panel. This is the ideal ladies' suit for the summer period. Need advice? Drop us a line. With years of expertise we are confident that we can help you find the right wetsuit. With Free Shipping and Free Returns*, we have you totally covered.